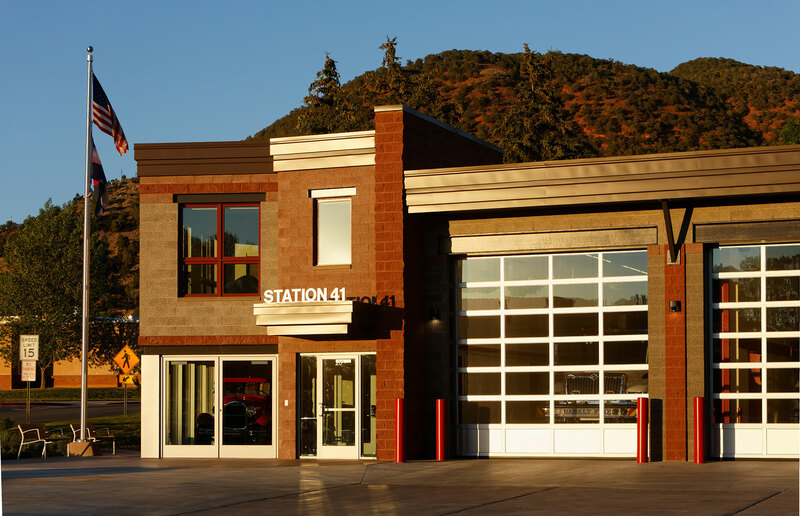 The Basalt Fire Station consists of an addition and renovation of a 40-year old structure resulting in a 9,301 sq. 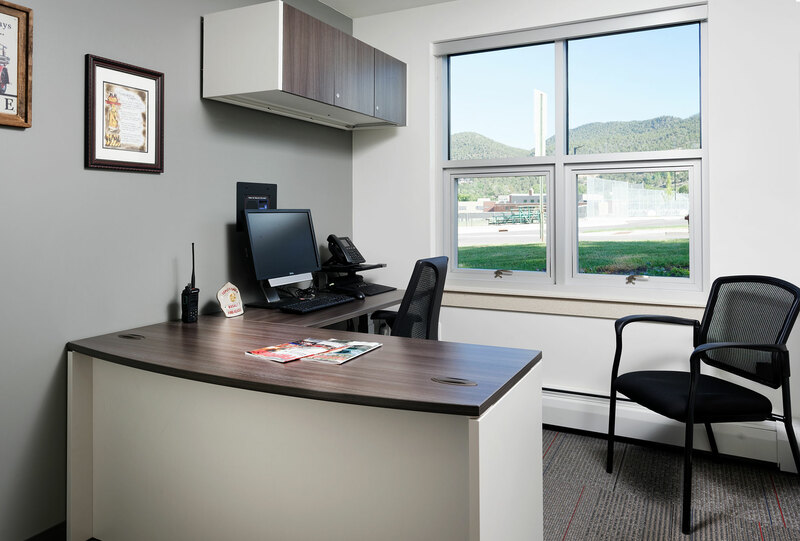 ft. facility, competed under budget. 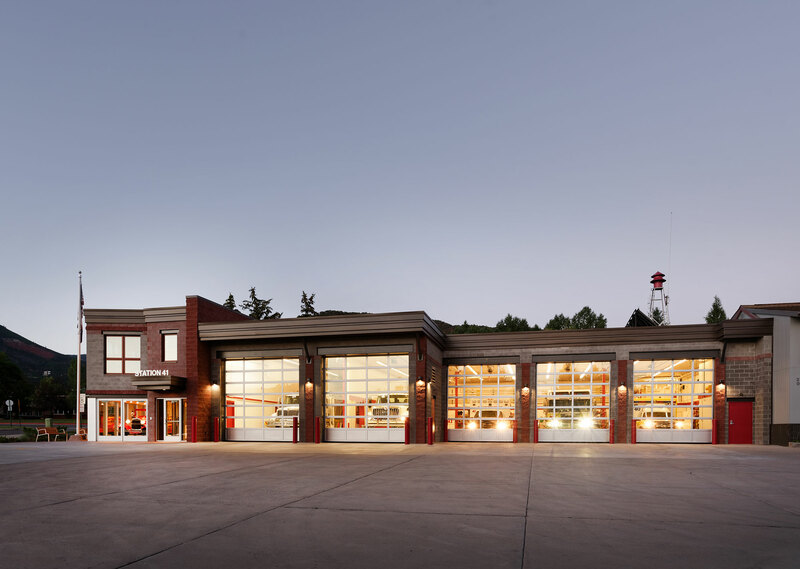 Due to city utilities under the drive, a tight/angled building envelope, and budget requiring the existing bays, roof and loft to be preserved, CCA was challenged to expand and remodel within setbacks and an existing roof. 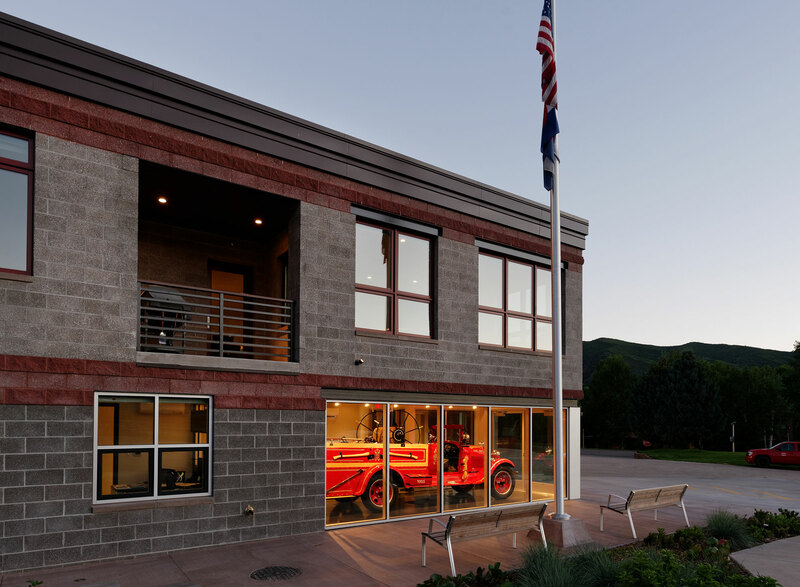 The façade now compliments the surrounding context while distinguishing itself as a public safety building with masonry, steel and glass. 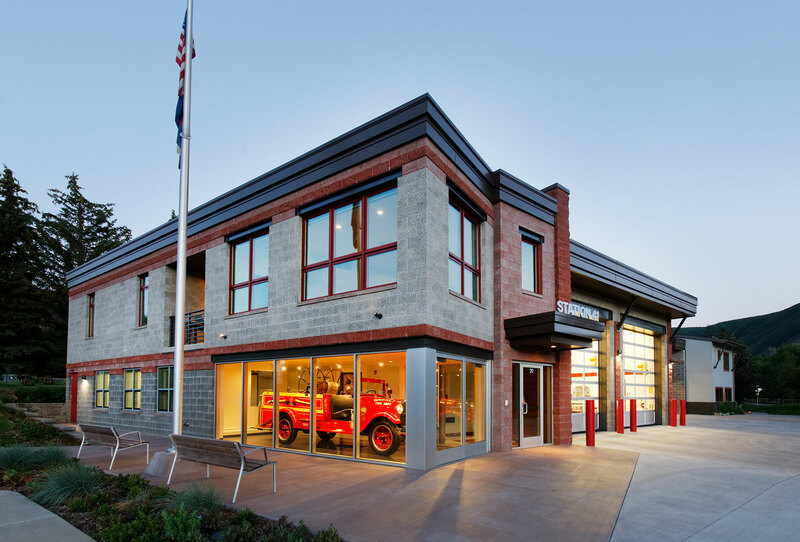 Bands of concrete masonry units of varying color and texture break up the massing. 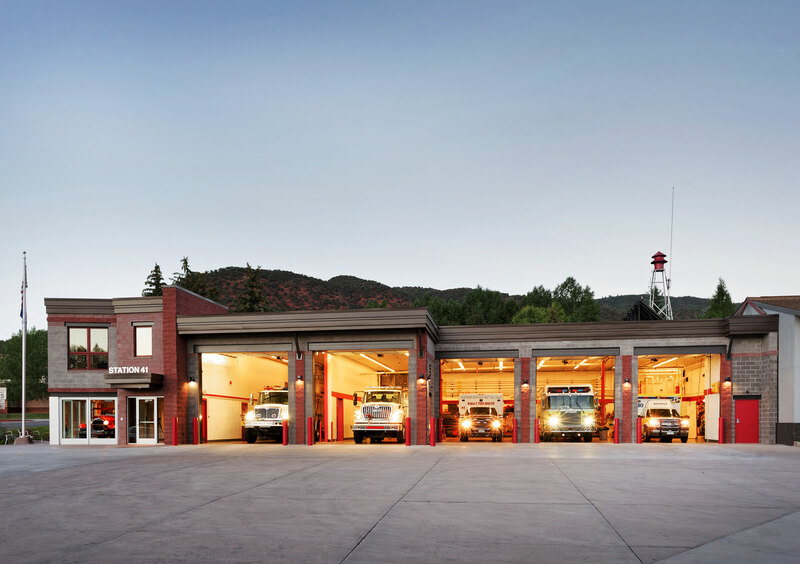 Stepped metal fascia is intersected by a CMU datum wall that differentiates the apparatus bays and crew quarters/offices. 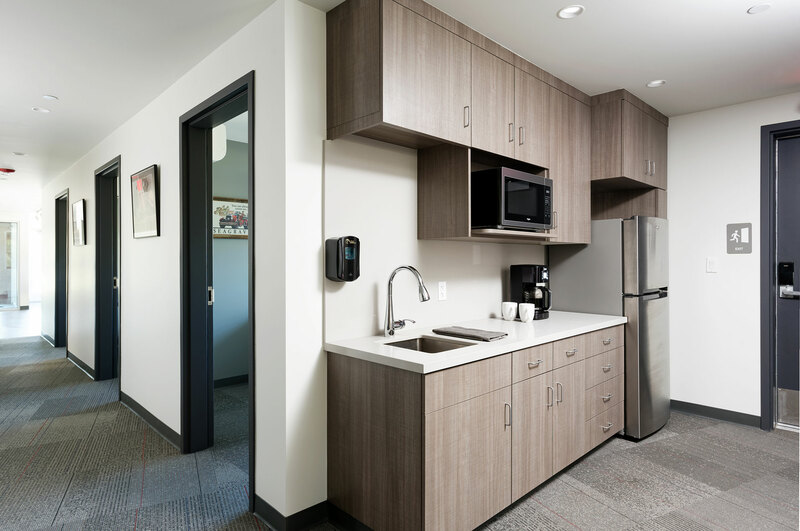 All entrances are secured with Wi-Fi key pads with customizable key codes. 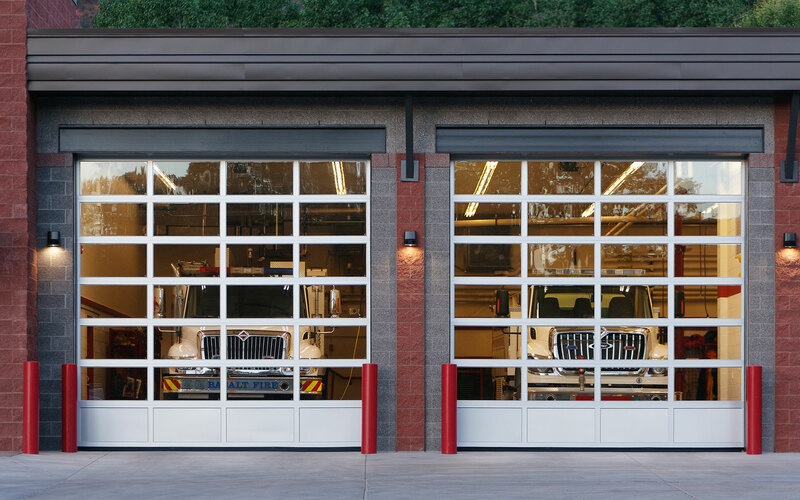 A District-wide alerting system was added throughout the building. 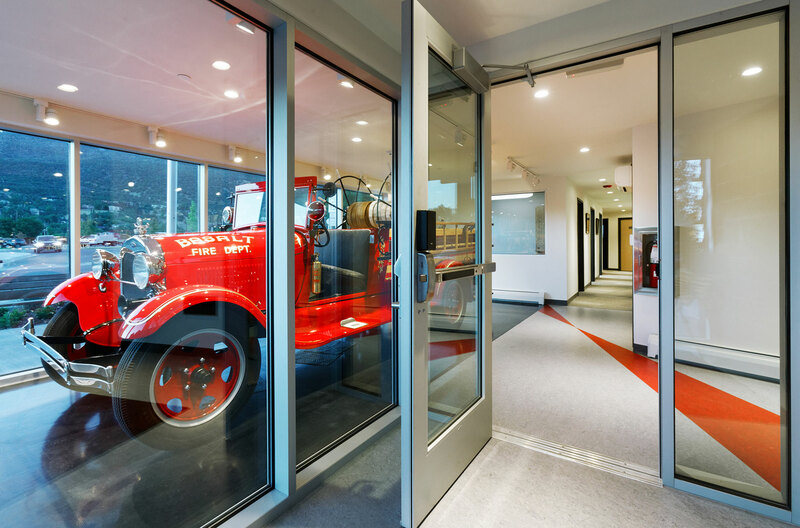 The main entrance vestibule houses an emergency phone and is open 24/7, and the lobby with glass walls showcases the District’s antique fire truck. 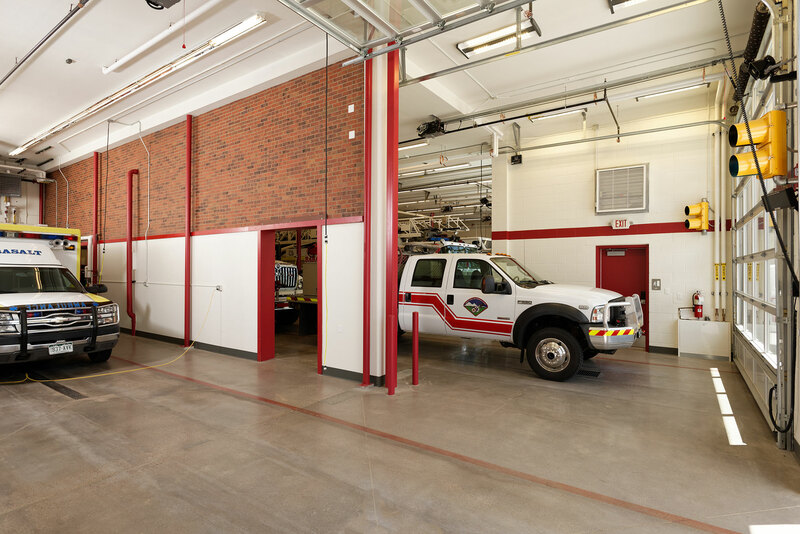 Five new offices, break area and conference/training room access the apparatus bays. 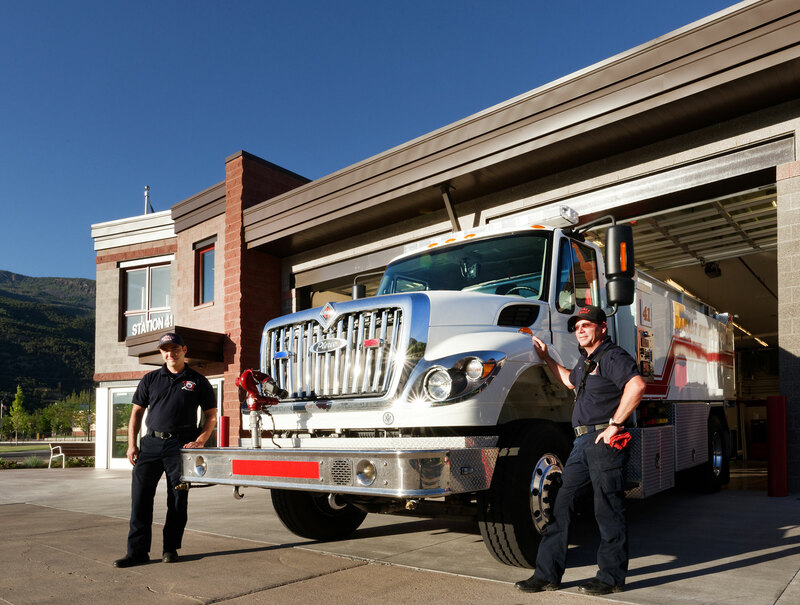 The addition to the 2 west bays allows for new, longer apparatus or 4 shorter apparatus along with turnout storage and equipment; accommodating the range of emergency services the station provides. 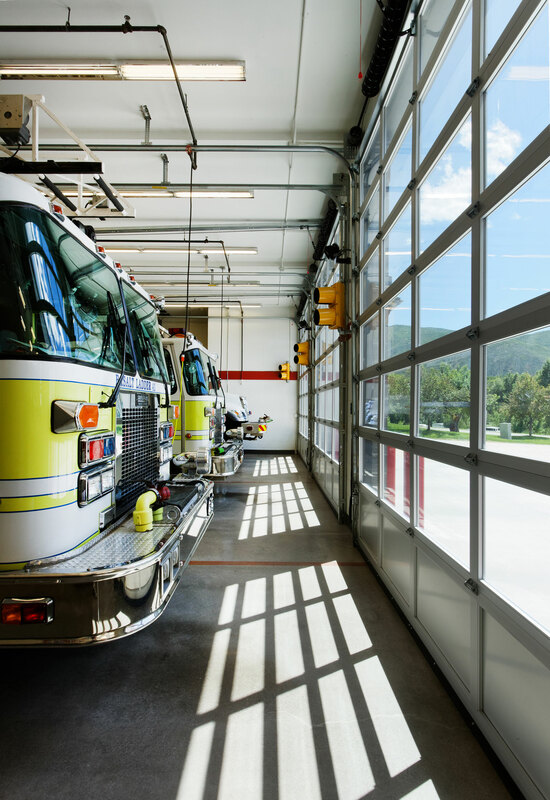 Airtight separations and negative pressure balancing between the living areas and apparatus bays, and a new exhaust system in the bays help protect from carcinogens. 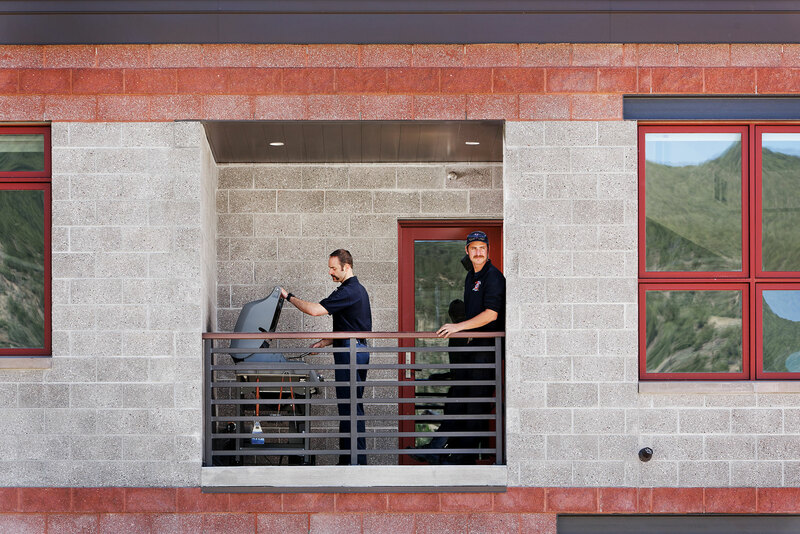 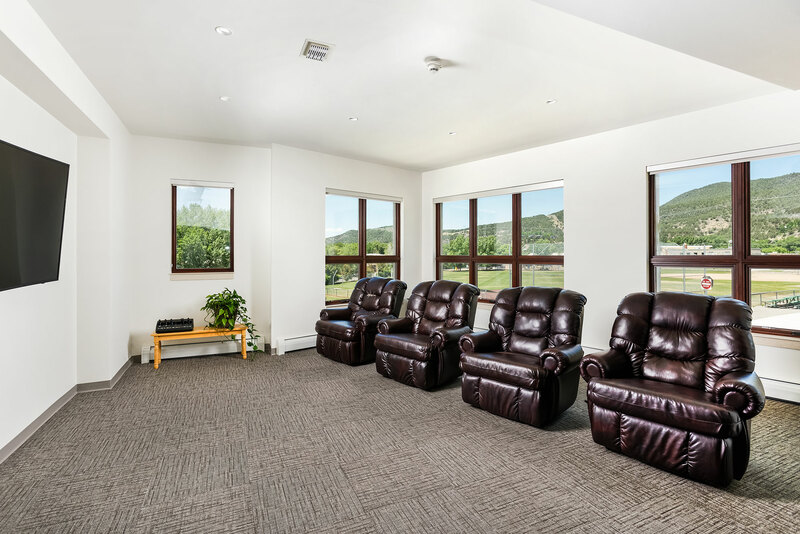 Stairs lead to the new separate, secure and airtight living quarters, containing a day room with expansive windows providing passive solar and ventilation and dining area with 3 work-stations fostering socialization. 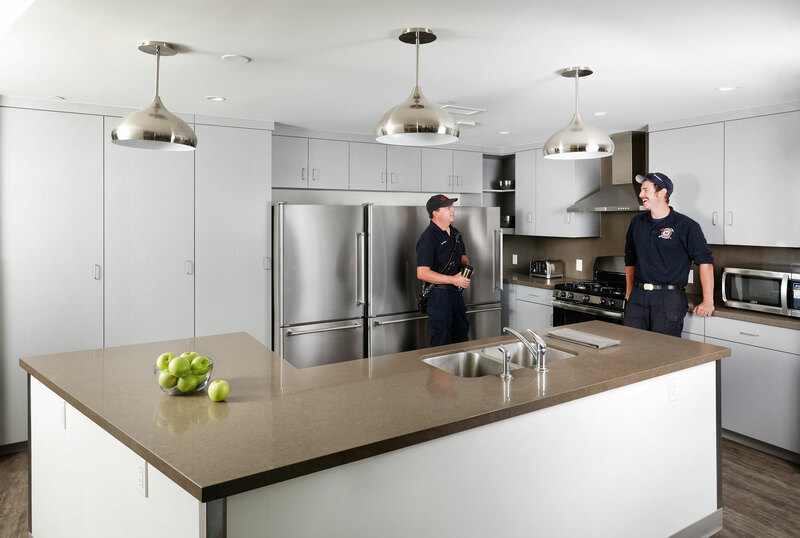 The kitchen has refrigerators and pantries for the 3 shifts, and sits adjacent to the outdoor grilling deck. 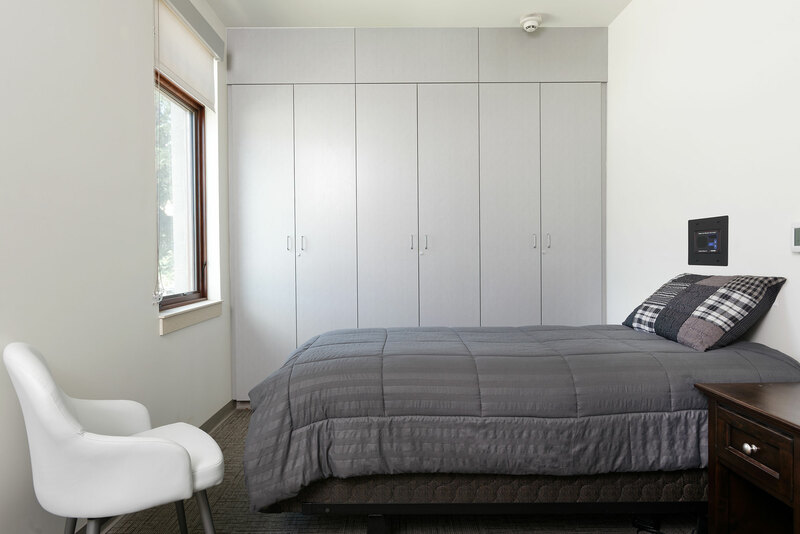 Four sleeping rooms with built-in shift storage are set back, allowing for quiet relaxation. 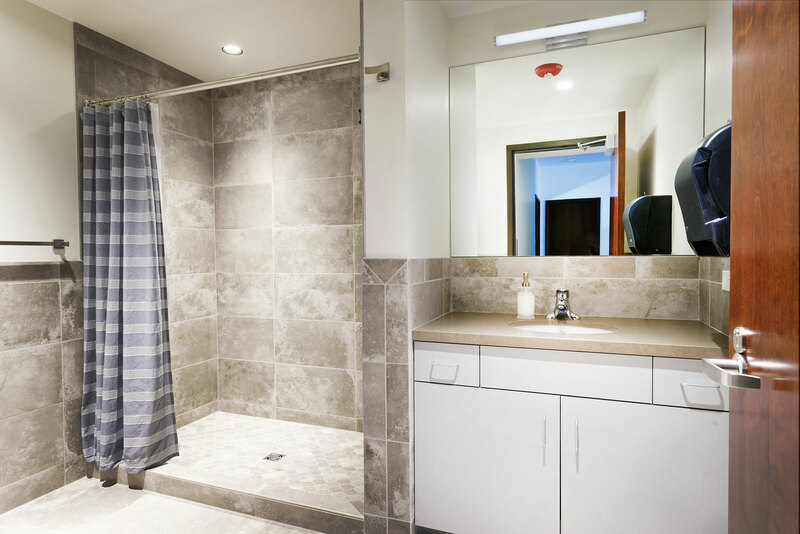 Nearby are 2 unisex baths with upgraded tile, and laundry. 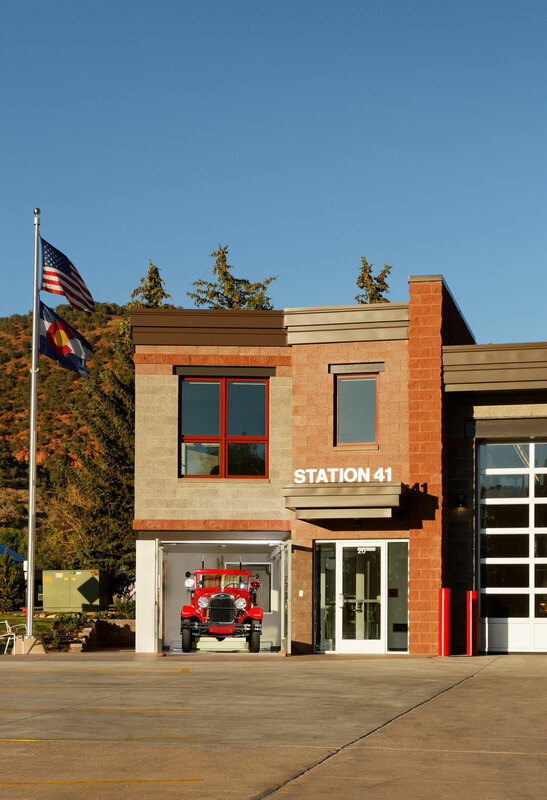 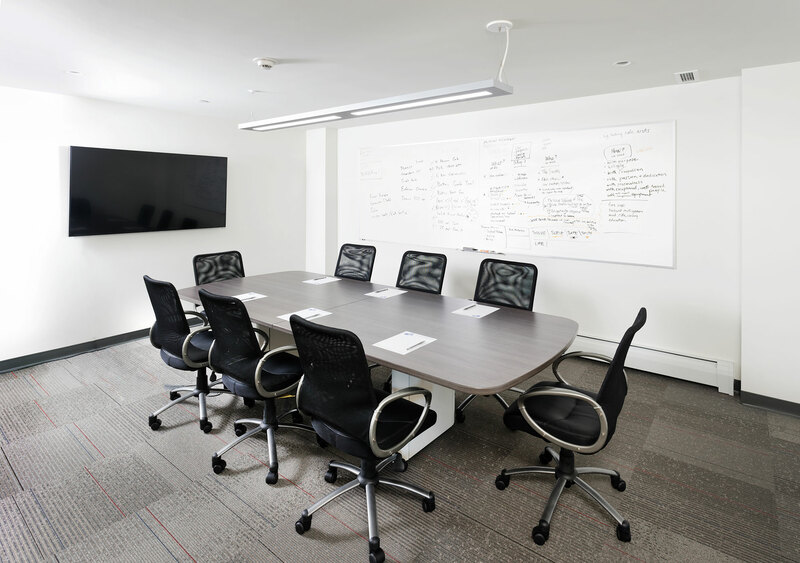 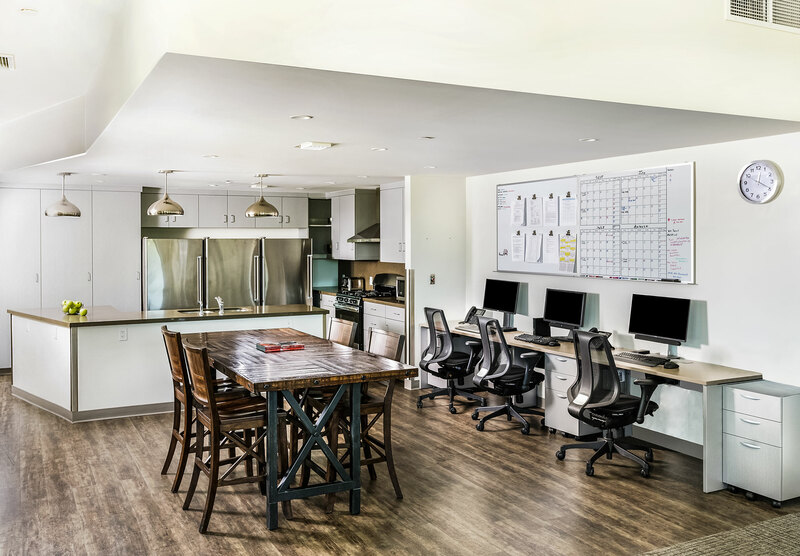 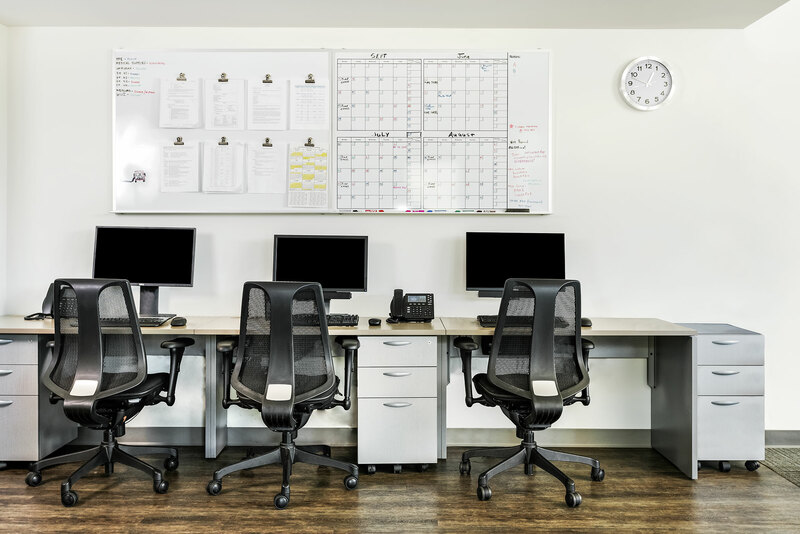 In the end, a volunteer station in the heart of town was transformed from an ordinary brick box into a highly-functional fire safety facility including fully-staffed living quarters, district offices, and improved apparatus bays all of which was completed under budget and on-time.